This once mighty collection of metal plating and wire is now a playground for children. What is the backstory behind this rusted contraption? 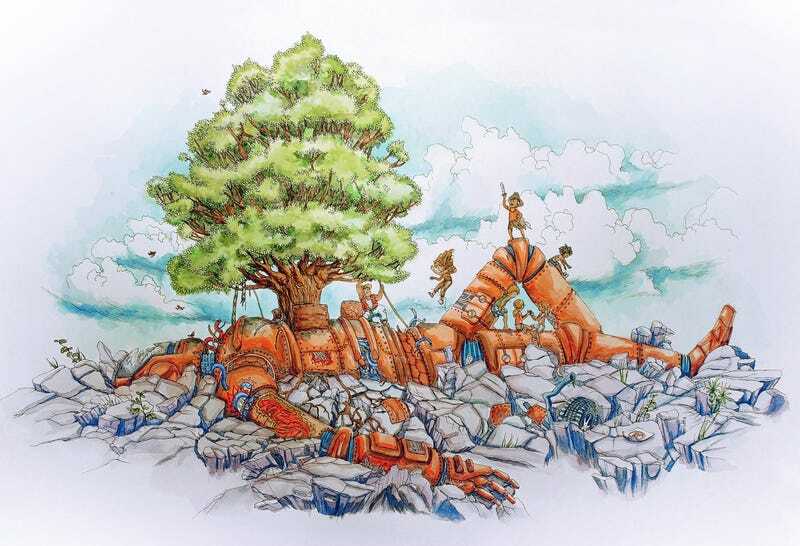 This watercolor and ink illustration, "Rusted Robot," is by Ian Wenstrand, via EatSleepDraw. As always, we invite you to come up with your own story based on this image and post it in the comments.